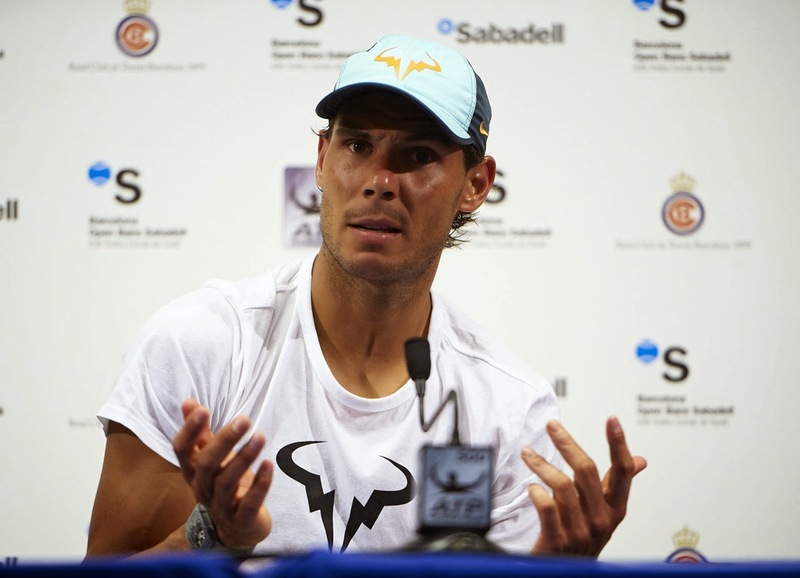 “I played a bad match, there is no question about it. I wasn’t able to be aggressive, I made more mistakes than usual and wasn’t able to make the most of the advantage that I had at some points”. “Right now all I can do is accept a situation that is obviously a serious blow, especially after the confidence I gained in Monte-Carlo. I can either accept this or die, and since I want to keep playing I can only learn from this experience and work even harder. All I can say is that I need to improve and I’ll do everything I can do be back on my feet again”. “I don’t know what’ll happen in the future. Last week was extremely positive whereas this one was just the opposite. I have to begin again and try to get to the level I had in Monte-Carlo. I beat Ferrer and although I lost against Djokovic, I felt really confident”. “As of now there is absolutely no hope. I want to thank all my fans, everyone who has supported me, the brilliant organization... This is one of the best ATP 500 tournaments and this club is definitely one of the best clubs in the whole world. The only message of hope I can give is that I’ll keep working”. “I hope all the ups and downs will eventually come to an end and that I’ll be able to keep up with a good level. Sadly I wasn’t able to do so today...”. 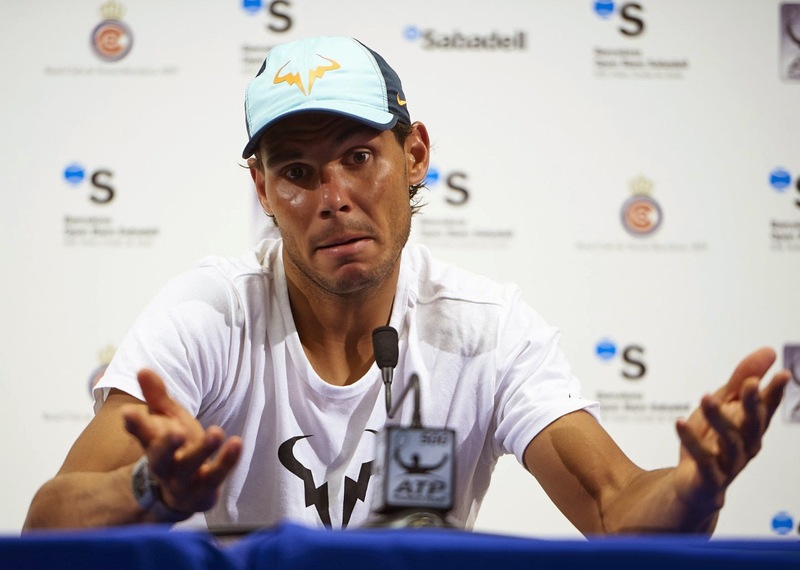 “Fognini played well, I mean he won the match because he deserved it and it’s obvious I didn’t. I couldn’t push him back so I just want to congratulate him”. “I have to work hard to be better at defending and attacking. Both my forehand and backhand were awful, I just didn’t hit the ball with strength. My strength comes from my forehand and if my forehand is vulgar my way of playing is vulgar... my forehand was in no way worthy of my ranking and my career. 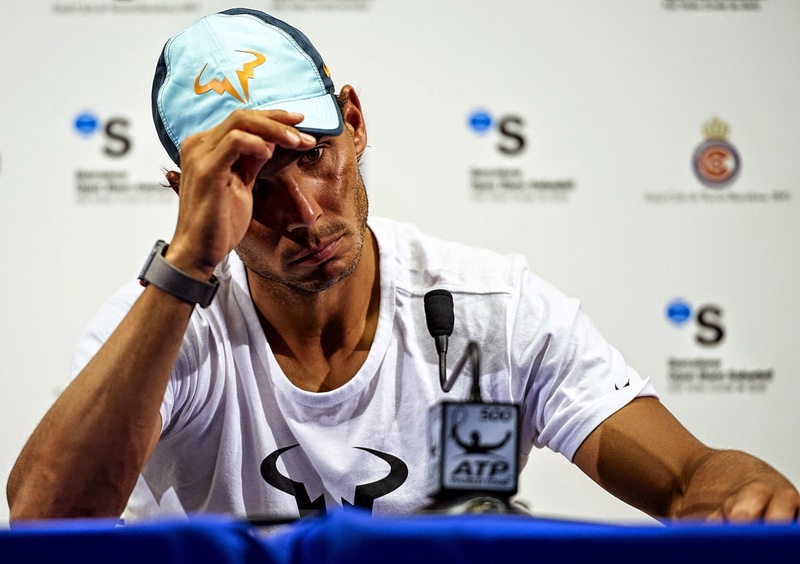 I am deeply ashamed and frustrated, such a performance cannot happen again”. “It’s not a matter of anxiety, it’s a matter of technique. I’m obviously going to get nervous if I don’t hit the ball the way I should”. “I am the one who wins or loses, the racket is just a help. I’m very grateful to Babolat for their contribution and I can assure you the racket had nothing to do with today’s defeat”. “When you play with really small margins it’s extremely easy to lose because the match is decided in just a few balls. I should have made a difference before instead of waiting until the end of the second set”. “Today was a bad day. I am convinced I’ll get to my best level soon”.